Miss Earth Kenya 2014 was scheduled to be held on October 10' 2014 at Carnivore Simba Salon, Nairobi, Kenya. 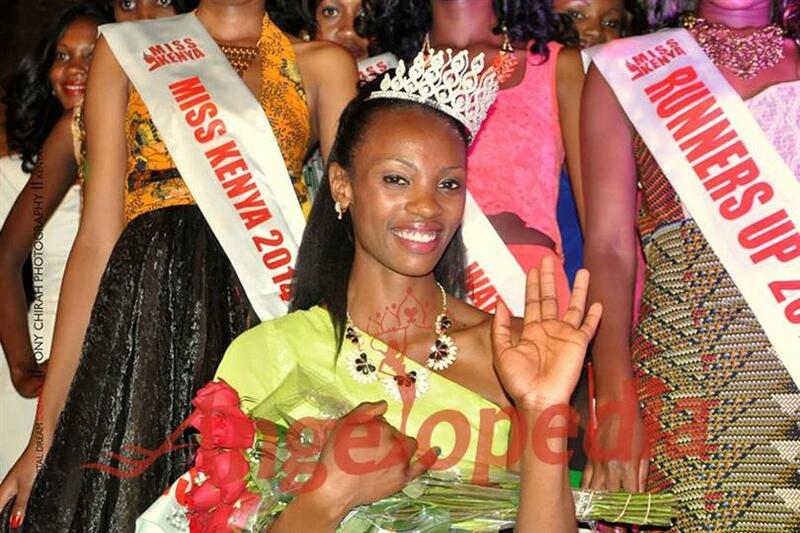 The title winner of the Miss Kenya 2014 was Lydiah Manan who was crowned at the end of the coronation ceremony. The winner of the pageant represented Kenya at Miss Earth 2014 pageant. Fourteen beauties were competing for the title of Miss Earth Kenya 2014 and Lydiah Manan managed to stand out and impress the judges at the finale. Lydiah represented Kenya at Miss Earth beauty contest which was held in Manila, Philippines on November 29' 2014. In preceding years, most beauty queens representing Kenya at the Miss Earth contest were handpicked. This year, a rigorous audition and elimination was conducted, part of which included taking part in a model boot camp. This tested each contestant’s ability to be a team player and be adaptable. It also tested their attitude, leadership skills, and other qualities that were highlighted the true meaning of being crowned a beauty queen.